Is this the first, or one of the first times you’ll try selling your product at a market? This session will make sure you understand what makes people stand out at markets, and create a checklist of things you will need to do before, and have with you when you arrive. This session will cover some basic principles of bookkeeping with the intention of allowing you to properly keep your own business accounting records. Also discussed will be some tax considerations, and using financial information for decision making in your business. Learn all about some simple strategies to attract more customers. We will explain the meaning of ‘target market’ and how to find yours, and discuss the benefits, drawbacks and "how-to’s" of building a social media presence. ​​Whether or not you have attended the training sessions, all vendors at our markets are encouraged to attend our peer support sessions. Peer support groups bring together individuals who have a shared experience, so that they can discuss the challenges they’ve faced and explain solutions that have worked (and those that haven’t!). The intention of peer learning is to give all participants a better chance to succeed by spreading knowledge and experience. Do you provide a service rather than a product? No problem. We can help you prepare promotions with our emergeOFFICE co-working space! Do you make a food product and aren't sure if you can sell here? No problem either. We can arrange for you to use a commercial kitchen through emergeKITCHEN! The intention behind emergeMARKET is more than simply creating an event. 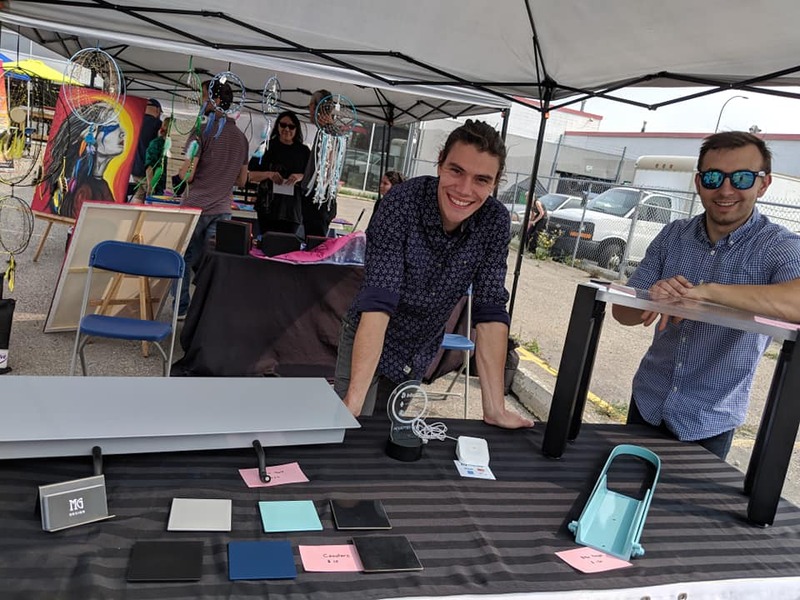 We want to use this market to help people tap into their entrepreneurial spirits and grow into a full-fledged business that they can share with the Greater Forest Lawn community and beyond. Our business ecosystem supports all of our vendors from start to finish. ​​emergeMARKET is our recognition that each of us has a skill or craft which can turn into supplementary (or primary) income for the household. One of the ways we seek to develop the community economy is by helping people turn these crafts into small businesses, and launching the business through our summer market. As a new and growing market, we understand that our vendors are also stakeholders. We want to work closely with vendors to help grow their operation in the hopes of growing the market as a whole, and turn this summer event into a pulse of entrepreneurial activity! For support, vendors at emergeMARKET will be able to make use of emergeOFFICE space and access support from our business development experts, among other perks.